"It’s cool that I’ll be able to say that I’m a teen. There are a few cons too; at the airport, once you’re not 12 anymore, you have to take off your shoes." Where is Will? The answer that hung precariously on the lips of every invigorated fan absorbed into the world of 'Stranger Things' and the ‘upside down’. Well, we’ve found him. 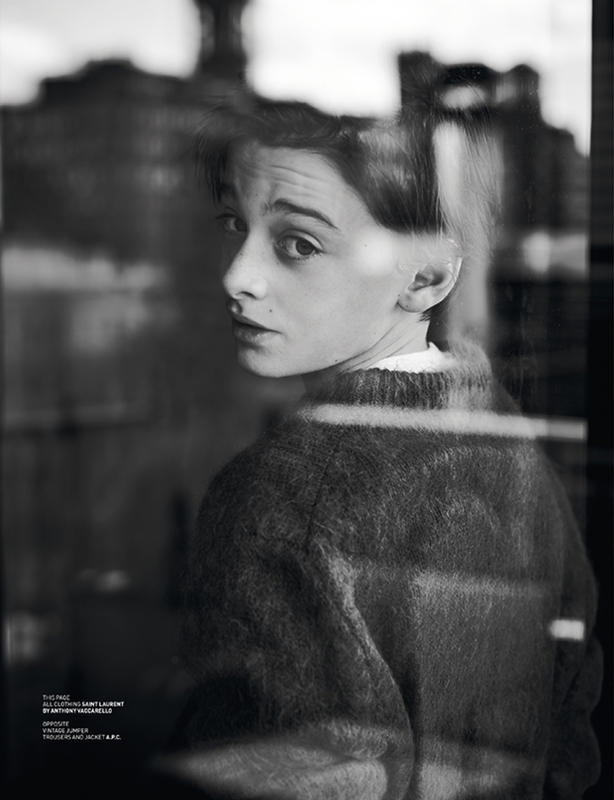 Noah Schnapp, that is - the young actor behind the award winning Netflix phenomenon. And he is gracing the pages of our new AW17 print issue. Teetering just over the edge of the ripe age of 13, his face is already recognised all over the world - and he also just happens to be a part of one of the coolest groups of kids we all want to be friends with. In his interview he is incredibly charming. Satiate all your possible needs with Noah’s stories of lessons learnt from Winona Ryder, Tom Hanks and the great Mr. Spielberg himself - we can’t help but feel a little pang of jealousy towards this young boy who’s seen more excitement in his 13 years than most do their whole lives. He’s a twin, if you didn’t know already, and he still revels in his ‘normal’ life, excited by the prospect of exploring and enjoying it all as it comes. Uncover his youthful ways and dreams of all things he dreams of doing, like skydiving, bungee jumping and zip lining 10,000 feet somewhere exotic in Costa Rica. Noah paints exciting possibilities - we want to be adventurers too. With the well-awaited season 2 of 'Stranger Things' releasing on the same day as this issue, we're all in for a second round of excitement as the show journeys into exploring how the 'upside down' as impacted young Will. Spoil yourself with the reflections of Noah, including more super adorable visuals than the teasers below, in our latest print issue, 'Tales of a new Generation’, which is now available to buy in stockists and the BBG Webshop.